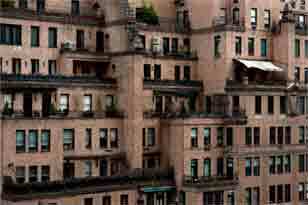 1) See Vivian Maier: In Her Own Hands before it closes on December 31 at Howard Greenberg Gallery. 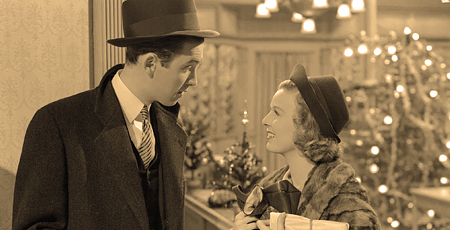 2) Fall under the charming spell of Lubitsch's The Shop Around the Corner screened at Film Forum from 12/25-31. 3) Warm up with tequila, mezcal, or a cocktail made from same at Mayahuel. 4) Pick up last-minute gifts by Lotta Jansdotter at her open studio this weekend. 7) Resolve to eat more veggies. 8) Journey to Antarctica at Symphony Space, 12/21 and 28. 9) Ring in the New Year at MoMA with Matisse and merriment. 10) Thank Governor Cuomo for the ban on fracking. 11) Reflect on society's most disturbing (and we mean deeply disturbing, be warned) tendencies, fueled by technological advances, in the British anthology series Black Mirror, available on Netflix. 13) Feel the love at BB King when Darlene Love belts out the joy to the world, 12/26 and 27. 14) Wonder at the NY Botanical Garden's annual Holiday Train exhibit. 15) Hear why Southern California Wants to be Western New York or whatever is on the mind of the great singer/song-as-short-story-writer Dar Williams when she makes her annual, after-Xmas appearance at The Bell House on 12/26. 16) Stomp in the New Year with Black Taxi at Mercury Lounge. 17) Binge listen Serial and hear for yourself why this is the most popular podcast ever. 18) Walk with The Big Onion when they give their 24th annual Christmas Day Jewish Lower East Side Tours. 19) Hoist a glass of Avec les bons Vœux de la brasserie Dupont. 20) Run into the New Year. 21) Spazz out for Spazz Xmas Fiasco on WFMU, Christmas night, 9-midnight. 22) Receive a Vajrakilaya Blessing bestowed by The Venerable Nechung Kuten, Thupten Ngodrup, Medium of the Chief State Oracle of Tibet at Tibet House, Saturday, December 27. 23) Mourn the end of the Colbert Report with this roundup of the most memorable moments when Colbert broke character, Munchma Quchi included. sat 1pm: poets rally in washington square park for justice in response to the eric garner and michael brown verdicts. the lineup, curated by ny state poet laureate marie howe and brooklyn poet laureate tina chang, includes ravi shankar, sapphire, sharon olds, nick flynn, and many more. sat 3:30pm doors, 4pm show: three comedians try to guess what a leading expert studies at chris duffy's monthly 'you're the expert!' live podcast recording. today's guests janeane garofalo, zhubin parang (the daily show), and phoebe robinson (broad city) interview dr. joseph ledoux, nyu professor of neuroscience and psychology, who studies the biology of emotions. $10 with promo code 'theskint' (normally $20). sat 4pm: take a stroll while singing holiday songs during the 40th annual greenwich village caroling walk. song books + refreshments provided. meet at judson memorial church, free. sat 9pm: rockapella co-founder sean altman skewers jewish identity with comedy songs at bamcafé. free. sun various times: thirteen participatory musical parades take over nyc streets, parks, and other public spaces for the fourth annual make music new york winter. highlights include a high line soundwalk, bicycle bells in prospect park, brass + bagpipes in lic, and more. free. sun 2:30pm: draw a card and become part of the annual it's a wonderful life act-along, where anyone can be anyone, and anyone can just watch. metropolitan playhouse, $5 suggested donation. sun 5pm: minimalist composer and videographer phill niblock presents his annual six-hour winter solstice concert of electronic and acoustic music, film and video at roulette. $10. thru 1/11: the film society of lincoln center presents a comprehensive career retrospective of john houston, including the african queen, chinatown, the dead, the maltese falcon, prizzi's honor, and more. $10 general, $7 students/seniors.